Operation a Day’s Work’s latest release is now translated in English. MAKE A DIFFERENCE! 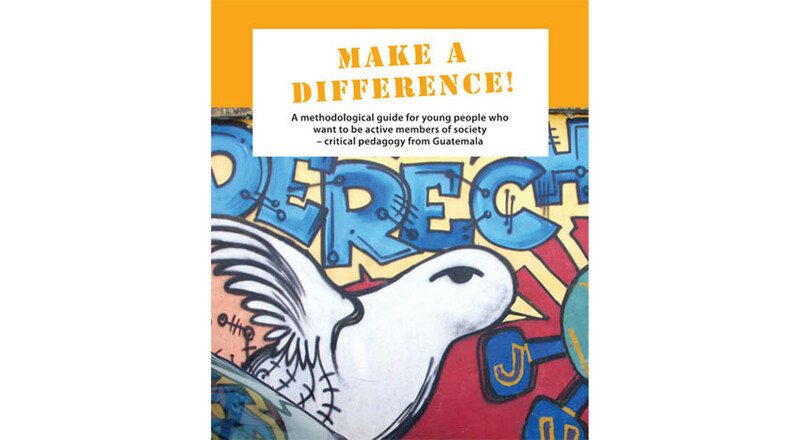 – A methodological guide for young people who want to be active members of society presents critical pedagogy in Guatemalan style. The guide gives you insight and tools for making societal change that works for young people. Instead of lectures or meetings, we can create murals about the things we want to change or make plays out of them. This guidebook makes it easier for young people to create a process that helps them choose a problem that they will try to solve, and do something about it. You can download the guidebook from here. Other releases from Operation a Day’s Work can also be found from the same web page in PDF form. You can also order guidebooks straight to your home or school. All material is free of charge.